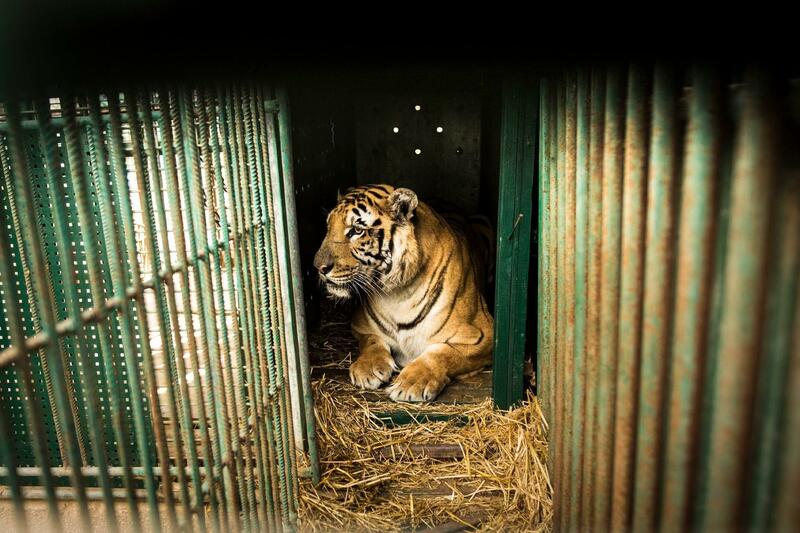 Years of suffering in desolate cages, starvation and a lack of fresh water: FOUR PAWS conducted an intensive rescue mission to save the remaining 15 animals at Khan Younis Zoo. The FOUR PAWS rescue team managed to load the animals and transport them over the border. Even the porcupines, which had gone missing, were relocated and loaded safely. Porcupines, emu, pelican & co. are now at the New Hope Centre in Jordan. The Centre is part of 'Al Ma’wa for Nature and Wildlife', an organisation run jointly by FOUR PAWS and the Princess Alia Foundation. The five monkeys were transferred to the Primate Sanctuary Foundation in Israel. 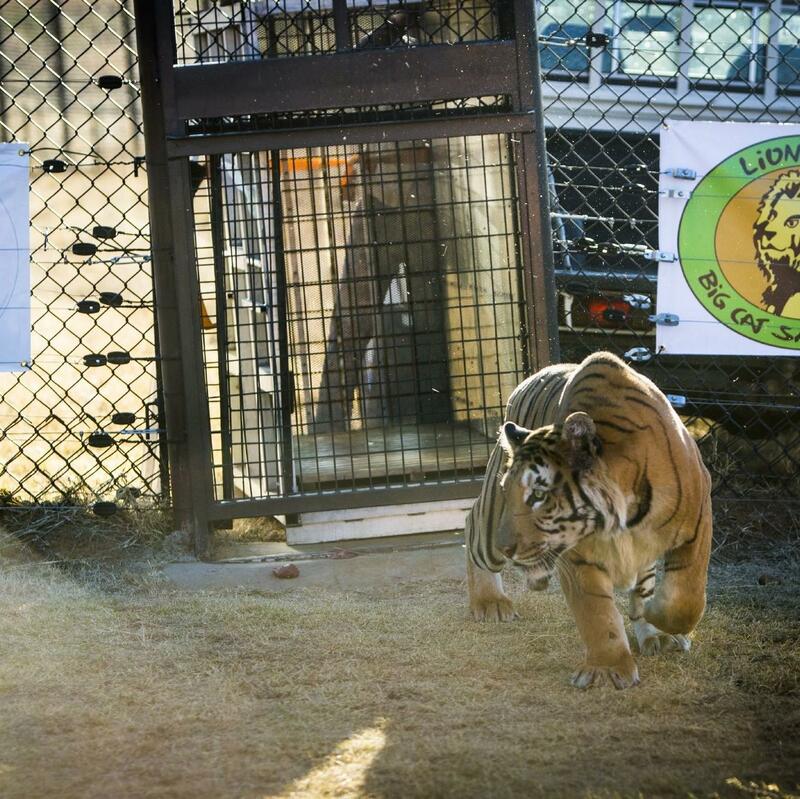 Tiger Laziz went on a longer journey to the LIONSROCK Big Cat Sanctuary in South Africa. Our team members worked at full speed to give all the animals a medical check and load them into the transport crates. The tight time schedule posed a special challenge. And we were worried about whether Laziz would enter his crate without any problems; we definitely wanted to avoid anesthetizing him if not absolutely necessary. But the tiger just went straight into the box as if he knew that we were bringing him to a better home. So many people have closely followed the progress of this mission and shown solidarity with Laziz and the other animals. We are happy that we have been able to finally close down Khan Younis Zoo. Madeleine visited LIONSROCK in 2015 when she accompanied the transfer of six tigers from the FELIDA Big Cat Centre in the Netherlands to South Africa. Watch her video for exclusive footage of the Gaza mission.